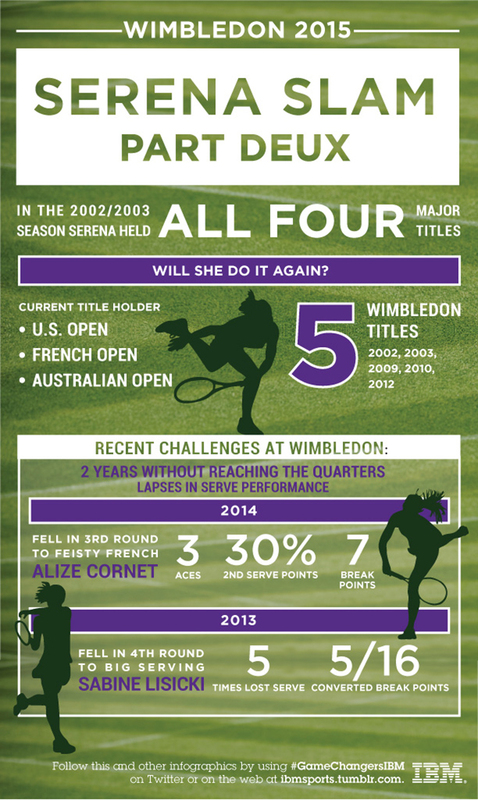 Serena Williams is going for her fourth consecutive Grand Slam singles title at Wimbledon—the Serena Slam. Serena Williams is going for her fourth consecutive Grand Slam singles title, dubbed the “Serena Slam”—something that she accomplished once before in her career in 2002 and 2003 when she held all four major titles at the same time (2002 French, Wimbledon and U.S. Open, and the 2003 Australian Open). She is currently the title holder at the 2014 U.S. Open, and the 2015 Australian and French Opens. But what does she have to do on the court to complete the Serena Slam?